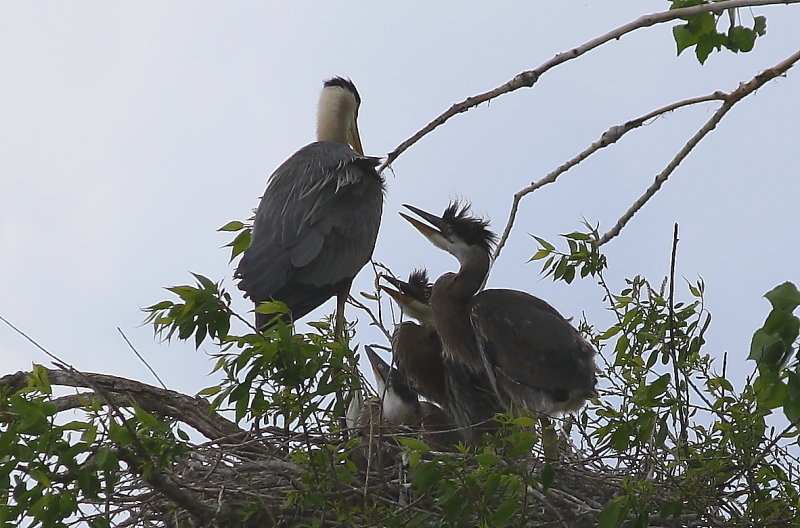 So it’s 4:50 p.m. on a Monday and all day I’ve felt a bit like the adult heron in this photo with the four juvenile herons clamoring for attention and sustenance. Except, it wasn’t my offspring needing me today, but my To Do list. The good news is my To Do list isn’t a living creature and no one died due to neglect or starvation. The bad news is that certain items were completely ignored while others received only crumbs which means the list lives on to harangue me tomorrow. Come to think of it, that’s two pieces of bad news. I’d be feeling a whole lot better right now if my To Do list had gone to its glory. That’s how my “to do list” always goes! They’re like zombies, those things!